We were delighted to attend the official opening of Aviary house in Solihull, a Home Group mental health service run in partnership with Solihull Metropolitan Borough Council. The facility comprises of 16 one bed apartments (short - medium stays and respite) located in the main 3 storey building, alongside a two storey block of 8 one-bed apartments designed to provide long term residents with greater independence. 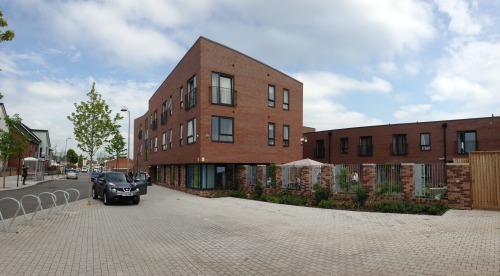 Residents have access to outdoor social spaces and indoor communal facilities. Home Group have made a short film which documents how Aviary house has had a positive effect on its clients and promotes wellbeing and future independence.